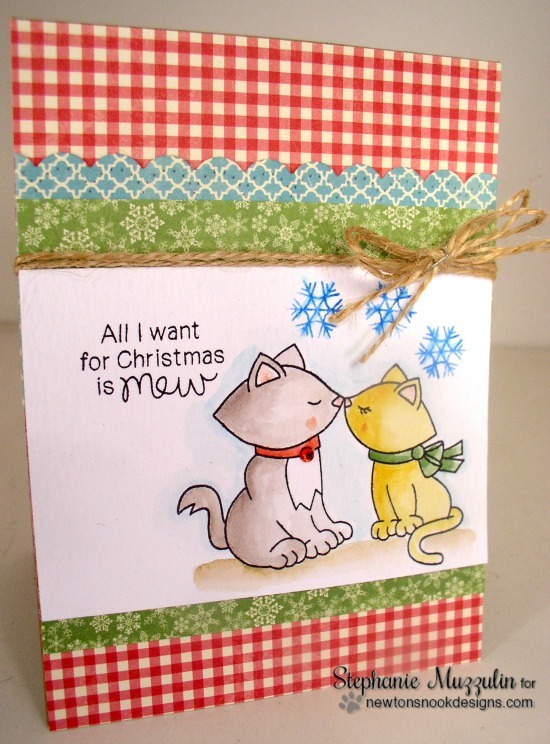 Today I'm sharing this adorable card by Stephanie using our Newton's Christmas Cuddles stamp set! I love the sweet watercoloring she did on the image of the kissing kitties. This image works perfectly for christmas when you pair it with the "All I want for Christmas is mew" sentiment, but you could also use it for anniversary or Valentines if you choose a different sentiment! I love how Stephanie added on some pretty patterned paper and twine! Such a fun holiday card! The kissing kitties are adorable! Such a sweet Christmas card! Oh how super sweet :-) I really love the Newton images.